Three bedroom flat. 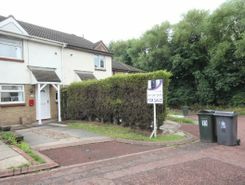 Availabl from end of May on an unfurnished basis located on Woodbine Avenue, Wallsend. 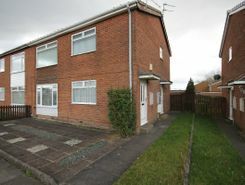 The property compromises of three bedrooms, living room, kitchen and a bathroom. 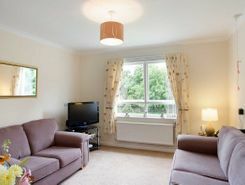 The property has double glazing and has recently had a newly fitted kitchen with built in appliances. 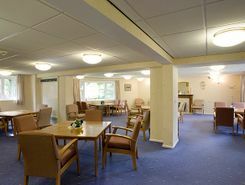 The heating, hot water and water rates are all included in with the rent and service charge and there is also an on-site scheme manager. The scheme is also pet friendly and there is a £200 moving in offer available until the end of March 2018 T&C's apply. 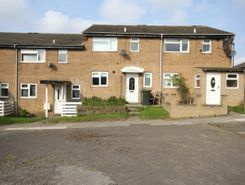 TheHouseShop.com is the leading property marketplace in Wallsend in Tyne and Wear and has been helping landlords, tenants, sellers and buyers to save money when buying, selling, letting and renting property online. Property marketplace, TheHouseShop.com, showcases property listings from private landlords, private sellers, high street agents, online agents and developers – meaning that tenants and buyers can find a unique selection of property from both professionals and homeowners. Estate agents, private sellers and private landlords can advertise all their properties on TheHouseShop's marketplace and reach the tens of thousands of home hunters visiting the site each day looking for property for sale and to rent in Wallsend in Tyne and Wear. Private landlords and sellers can make use of TheHouseShop's marketing options to generate more exposure for their property and quickly find the right buyer or tenant. Private landlords in Wallsend in Tyne and Wear can use TheHouseShop to advertise their rental properties and find quality, reliable tenants for free. 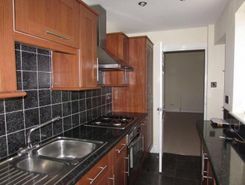 TheHouseShop showcases a range of houses and homes to rent in Wallsend in Tyne and Wear including, flats, apartments, maisonettes, and bungalows, giving tenants a unique selection of rental property from professional agents and individual homeowners. Tenants use TheHouseShop to find affordable rental property in some of Wallsend in Tyne and Wear's most desirable areas and can narrow down their search according to their budget, location and property specifications. 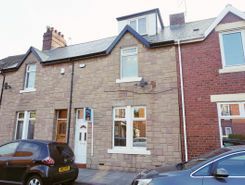 TheHouseShop.com showcases thousands of properties to rent including private landlords accepting DSS, 4 bed houses to rent, rental properties with pets, studio flats, 2 bed apartments and more in Wallsend in Tyne and Wear and the surrounding areas.. TheHouseShop carries unique property to rent direct from private landlords, so tenants can find rental homes that they won't find on other big property websites. 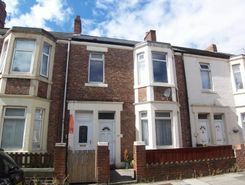 In the competitive Wallsend in Tyne and Wear rental market, tenants can save significant amounts on letting fees by choosing to rent direct from a private landlord. Tenants can find a variety of cheap rooms to rent in Wallsend in Tyne and Wear in TheHouseShop's Flat Share section. 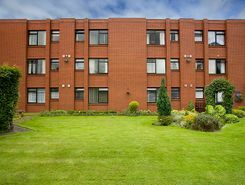 Tenants who have a minimal budget but still want to live in popular central Wallsend in Tyne and Wear districts should explore our Flat Shares section, which offers an affordable alternative to renting a whole property. TheHouseShop offer a Guarantor Service to all renters which allows them to secure a UK based guarantor to help secure their ideal rental home in Wallsend in Tyne and Wear. Wallsend in Tyne and Wear landlords can use TheHouseShop.com to get a free online rental appraisal and set the perfect price for their property. Landlords can access a range of essential landlord services on TheHouseShop marketplace including comprehensive tenant referencing checks, hassle-free rent collection, landlord insurance products and more. TheHouseShop.com tenant referencing service is a fast and effective way for landlords to screen tenants and perform rental credit checks, background checks, affordability calculations and more during the rental application process. Tenants can sign up for free property alerts and receive instant email updates anytime a new property to rent in Wallsend in Tyne and Wear appears on TheHouseShop.com website. 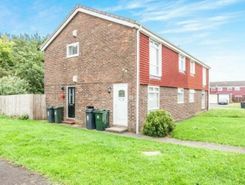 Landlords and investors can find a selection of cheap Buy To Let investment properties available from private sellers, developers and estate agents in Wallsend in Tyne and Wear.